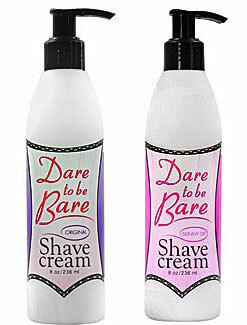 Dare to Be Bare by Earthly Body is one of our award winning products. This is our favorite shave cream as it contains hemp seed oil which alleviates the symptoms of skin conditions like acne (shave bumps), psoriasis and eczema and is the only plant containing Vitamin D. People who use hemp seed oil products have reported that after they begin to use hemp seed oil, they have softer skin. It contains a beneficial amount of amino acids, and vitamin E as well as a being a natural antioxidant. It is not only rich in Omega-3 and Omega-6, but also Omega-9 which moisturizes your skin and keeps it healthy. It does all this without clogging your pores. In addition, it also contains potassium and calcium, which are great for the skin. Hemp seed oil has unique anti-inflammatory properties that are not often found in other oils. 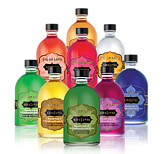 These antioxidant properties detoxify and clean your skin, as well as evening out your skin tone.